Caught at a party with a beer? Police find alcohol in your vehicle? Or perhaps you were charged with underage drinking for simply being present at a party where alcohol was being served. If so, call the Zuckerman Law Firm LLC today at 412-447-5580 for a free, confidential consultation. Underage drinking is found under Section 6308 of the Pennsylvania Crimes Code. This statute prohibits those under the age of 21 from consuming, possessing, transporting, buying or attempting to purchase alcoholic beverages. This statute punishes a wide array of conduct, and the police do not need to catch you in the act of drinking to prosecute you under this section. Possible jail time for those over the age of 18. Criminal record that cannot be expunged until you turn 21 years of age. The expungement process takes approximately 6-9 months, start to finish, if done correctly. Impact on job and educational opportunities, including having to reveal details about the incident during the interview process. Fines of up to $500 for the first offense and $1,000 for a second offense, along with court costs ranging from $50-$150. Conviction will appear on your driving record, since the offense carries a license suspension. Penalties associated with DUI by a Minor, which can be found here. Don't let one mistake turn into two by failing to hire the Zuckerman Law Firm for representation. Our firm works to provide reasonable rates to high school and college students charged with underage drinking offenses. The Zuckerman Law Firm has obtained favorable resolutions for high school students, along with college students from the University of Pittsburgh, Carnegie Mellon University, Duquesne University, California University of Pennsylvania, Penn State University, Indiana University of Pennsylvania and other universities in Western PA.
Withdrawal of charges after community service and alcohol classes. Plea to a local borough ordinance, leaving you with no conviction on your State Police Criminal Background Check. Plea to a disorderly conduct charge with no license suspension. Filing Summary Appeal for any wrong decision made by a Magisterial District Justice. Don't wait. Call us today - 412-447-5580. 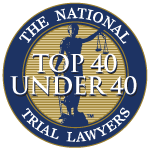 Attorney Dave Zuckerman has the negotiation skills, trial experience, education and ability to handle your underage drinking case from start to finish. For a consultation, please call the Zuckerman Law Firm at 412-447-5580. Weekend and evening appointments available.